Candy "Le boulet de Montauban"
On November 18, 1621, 6000 Huguenots Montalbanais hold in check a strong royal army of 20 000 men. The assaults are violent and murderous but the courage of the besieged unanimous. Louis XIII is forced to order the withdrawal of his army. 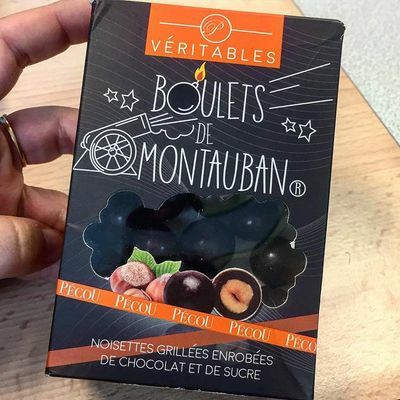 As a tribute to this heroic resistance, Maison Pécou has created a hazelnut specialty coated with chocolate and named it "Boulets de Montauban". These famous cannonballs, the steeple of Saint-Jacques still bears traces today.